Kitchen 218 at the Beach House, Providenciales. Sui-Ren restaurant at the Shore Club Resort on Long Bay Beach. The island of Providenciales has become an excellent destination for gourmet dining, with a wealth of great restaurants and cuisines to sample. 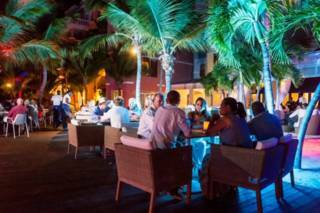 Many of the popular restaurants are located in or near the central Grace Bay tourism region of the island, and often within one of the island’s luxury resorts. 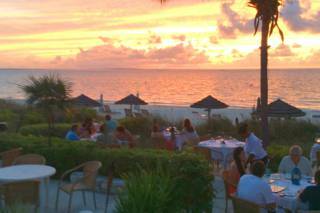 A perfect complement to fine dining is a great setting, and there are many establishments on Providenciales that feature an interesting or beautiful atmosphere. As a Caribbean tourism destination, beachfront dining at least once during your stay is of course a must, whether for a casual lunch or for dinner. 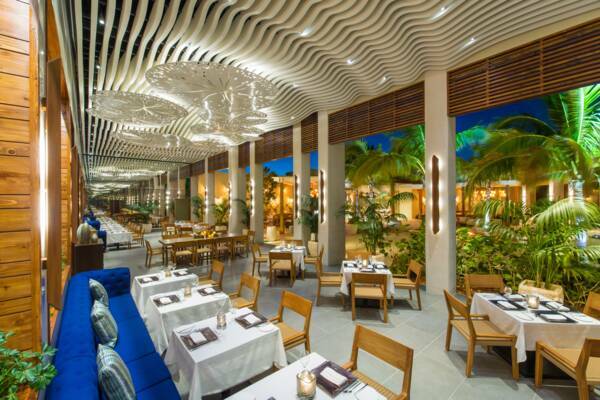 Infiniti, located at the Grace Bay Club resort, offers an intriguing menu that blends seafood, Italian, and local flavours, and boasts of an unparalleled setting on Grace Bay Beach and the longest bar in the Caribbean. When considering restaurants with a view, Magnolia, located on the ridge above Turtle Cove Marina in central Providenciales certainly deserves a mention. This wine bar and international cuisine restaurant offers beautiful views over the north coast ocean and Turtle Cove. Coco Bistro, located inland at Grace Bay, is surrounded by a tranquil coconut tree grove and offers a different perspective to beachfront dining. This very popular restaurant is often booked up for weeks, so you’ll want to make reservations early. 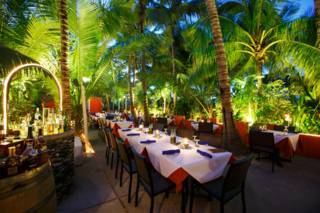 Mango Reef is another gourmet restaurant with a great atmosphere. This waterfront establish is located at Turtle Cove Marina, and offers seafood, local, and international dishes. The menu includes a wide selection of salads and grill items, too. Parallel 23, located at the beautiful Palms Resort on Grace Bay, offers unique Asian and Caribbean fusion dishes, with many international favourites as well. Crackpot Kitchen is one of the most popular Turks and Caicos cuisine restaurants in the Turks and Caicos, with a creative and widely varying menu. This restaurant is located at the Ports of Call plaza in central Grace Bay. Caicos Café has been a favourite fine dining restaurant with locals and visitors alike for decades. 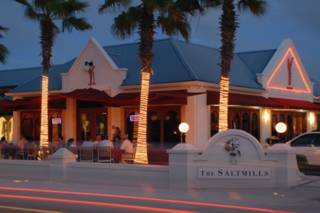 The restaurant is located in central Grace Bay, and offers a menu of international and seafood dishes. Sui-Ren restaurant is found at the elegant Shore Club resort on Long Bay Beach, and features a fascinating internationally-inspired menu. 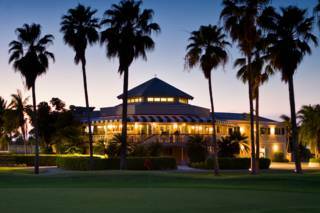 The Shore Club resort is a very beautiful setting, yet maintains a quiet laid-back ambiance. Opus, a wine bar and fine grill restaurant, is located on the quiet eastern side of Grace Bay. The restaurant offers one of the largest selections of wine in the country, and features both indoor air conditioned and alfresco dining. Opus is an excellent choice for steaks, too. 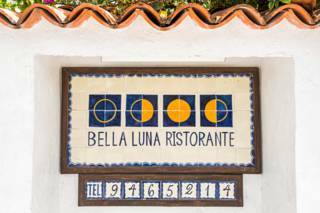 Bella Luna is a long-established Italian restaurant in the heart of Grace Bay. This establishment offers classic Italian and seafood dishes, and also features a pizza garden, with gourmet thin crust pizzas baked in a brick oven. Yoshis, a Japanese restaurant that’s located at the Saltmills Plaza, is another very popular restaurant, and serves sushi, sashimi, and many other classic Japanese dishes, often incorporating local freshly-caught seafood. As a tropical destination, locally-caught seafood has traditionally been the centrepiece to cuisine in the Turks and Caicos. Fish, typically snapper and grouper, conch, lobster, and crab were the primary catch, both historically and today. Locally-caught deep sea fish, including tuna, mahi-mahi, and wahoo, also factor into dishes at many restaurants. It’s important to be aware that several local seafood species have fishing seasons in the Turks and Caicos, and outside of the fishing season it’s typically not possible to serve such types of seafood. The Caribbean spiny lobster season in the Turks and Caicos usually is open from mid-August to April, and the Nassau grouper season is open from March to November. The arid climate in the Turks and Caicos doesn’t lend itself well to most types of agriculture, yet some fresh and organic produce is raised locally. Providenciales supports a hydroponic farm that raised tomatoes, cucumbers, greens, and herbs, and several farms on the green island of North Caicos grow tomatoes, peppers, squash, papayas, and beans. A couple of the boutique resorts also oversee their own small scale organic farms, which complement the imported food products with greens, herbs, and vegetables. The exclusive Amanyara resort is one such accommodation, and has a unique organic aquaponics farm. 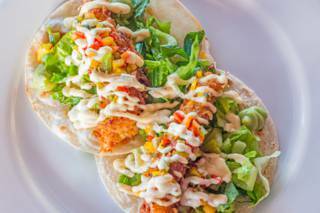 Caribbean cuisine, infused with French and Asian flavours, set in a casual beachside environment embodies what the Beach House Restaurant is all about. Moderately-priced menu and open for breakfast, lunch, or dinner. Located at Neptune Villas on the scenic Chalk Sound lagoon, Las Brisas Restaurant offers Caribbean Mediterranean fusion dining. Serves lunch and dinner.